It can be difficult to show others what you have been working on. Often, feelings of doubt can creep in. Are we really ready to Go Live? What will others think? Will we meet their expectations? What if the feedback is negative, or will they be happy with the result? 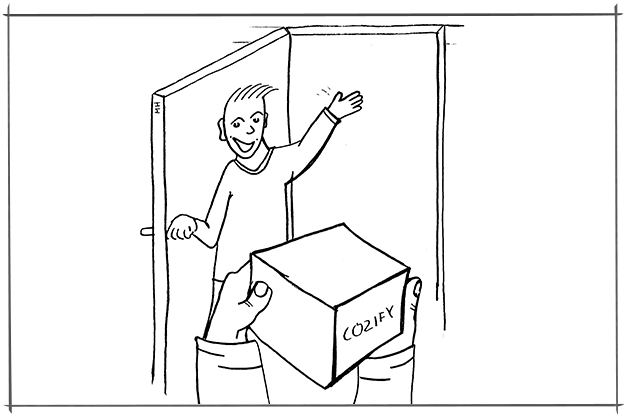 When Cozify began installing pilot systems, we struggled with these feelings. Especially, when the decision was made to charge users for the pilot version. The pressure was on to release a functional, total solution which consists of reliable and high quality equipment. If this wasn't enough, the entire system had to work on a variety of platforms from different smart phone manufacturers. The pilot package included light bulbs, a motion sensor and a power socket. Customers were offered a selection from which they could select Philips Hue compatible basic bulbs, spotlights, as well as LED-string and indirect light (Bloom) for their pilot installation. Belkin's motion sensor and power socket were also available. The aforementioned products were chosen for the pilot thanks to their reputation for quality and reliability. In addition, they connect seamlessly to our home automation solution via open interfaces. In order to help us understand how our product is deployed from a user perspective, we participated in the installation phase in the homes of pilot customers. An important learning for us is that the installation and setup of the system is not yet as easy as we would like it to be. We noted that customers have a variety of different network configurations in their homes. It is important that our solution takes these into considerations. It is important that the installation and setup of Cozify home automation is simple and does not require any technical expertise. "I wanted lights in the stairwell that switch on when someone is walking on the stairs. The lights worked to this end as expected. Our one-year-old son was excited about being able to change the colors of the lights." "One room downstairs has been dedicated for leisure, for example to watch movies and spend time with family or friends without disturbing other family members. As the room does not have any large windows, it is nice to have the lights switch on when someone steps into the room, and switch off again with a delay when there is no one in the room. During the World Cup Football championship games we selected our favorite team's colors into the lights, helping to cheer them on." "We installed the automatic power control to the fan in our living room. Now I can switch it on or off without needing to get up from the couch." Despite the pressure during the launch of our pilot, some notable strengths emerged with the very first pilot release: the system is easy to use and it can be controlled using any of the three major smart phone platforms. “The lights turned on in the middle of the night. Perhaps out of their own free will or something?" “The application doesn’t quite adhere to the phone manufacturers' recommendations. This is something you should look at and consider. By following manufacturer recommendations, you can guarantee that usability across different applications is consistent." "The Hub needs to be restarted from time to time. Sometimes the software hangs and won't function properly until I restart the hub." Taking these experiences, we are working on resolving the technical issues, as well as addressing ease of use concerns are at the top of our priority list. Quality and simplicity are key in everything we do. It has been great to notice, that our home automation system is stable enough, even in this early pilot stage. We are pleased to learn that the solution is easy enough to use in different homes and across various environments. Stay tuned, as we will publish more details on our progress and our pilot program over the coming months. Check back soon, as the next phase of the pilot will be kicked off later this year. If you would like to participate, please complete the pre-reservation form here. Next pilot group will be chosen among registered users.